Beautiful sandy beaches to the northeast, connected with each other below the green mountain. A popular destination for families, Alykes is ideal for children. Accommodation and catering facilities, cafes and bars. 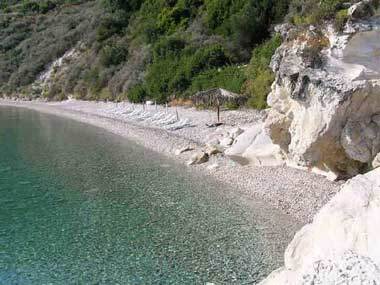 A worldwide known beach, among the best in Europe. Sandy and surrounded by impressive cliffs. Shallow waters, ideal for children. Water sports are forbidden. 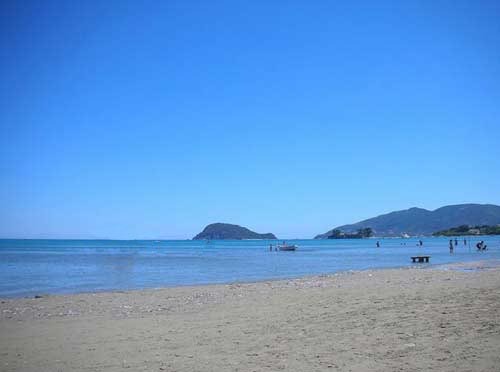 The visitors should be particularly careful because the beach is part of the protected National Marine Park for the caretta-caretta sea turtle, in which the animal lays its eggs. You can find pretty taverns. 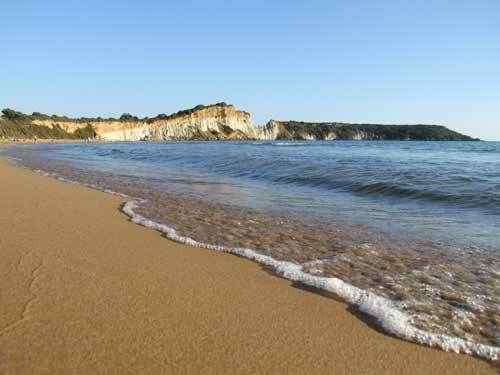 A quiet area for holidays, to the west, in the interior of Laganas Bay. 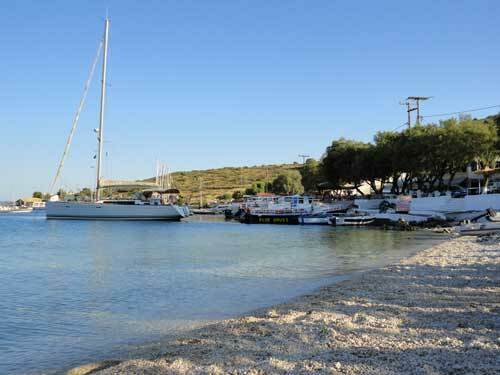 There is a harbour with fishing boats and tourist vessels that visit the island of Maralhonisi. 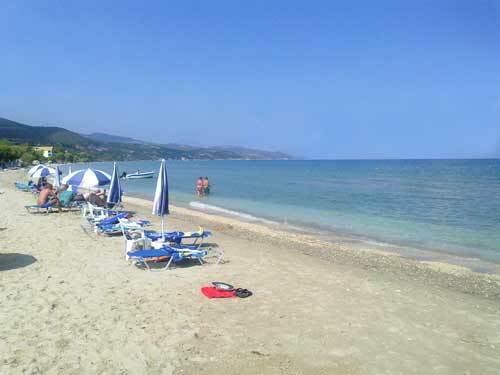 The beach of the lake is peaceful, although organized, with cafes and taverns, and you can enjoy local dishes. In the village you can visit the old church of Panagia Keriotissa with the famous belfry, whose sound can be heard over a very long distance. Popular and crowded beach at the centre of the Laganas Bay. 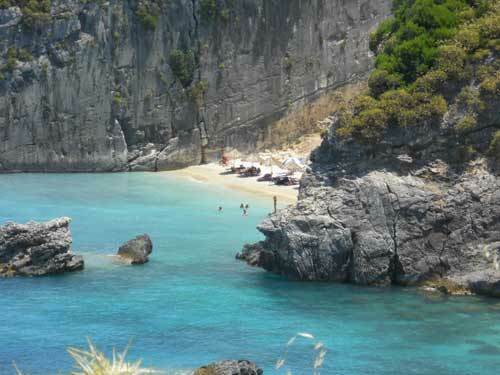 It is part of the National Marine Sea Park for the protection of the sea turtle caretta-caretta. It covers an area of 5 square km of crystal clear warm waters and, if you sail at a low speed, you can admire the sea turtles. The area attracts lots of visitors, who are certainly satisfied thanks to the abundance of accommodation and catering facilities, cafes and amusement venues. 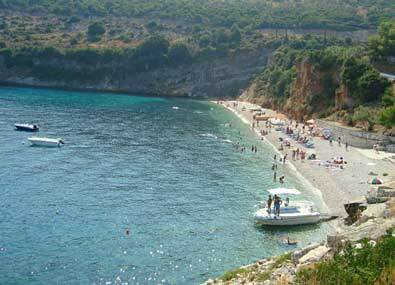 The little cove of Agios Nikolaos is a peaceful harbour, whose mouth is protected by a rocky islet. 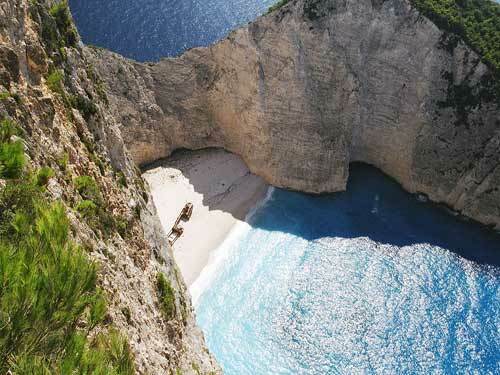 Tourist boats sail to the Blue Caves and the beaches of Navagio (wreck) and Porto Vromi. 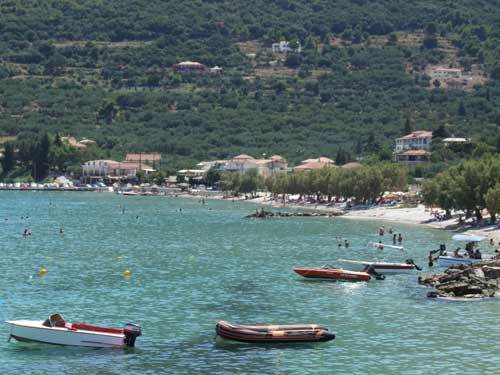 Swim in the pebbled beach and taste local dishes and seafood in one of the little coastal taverns. 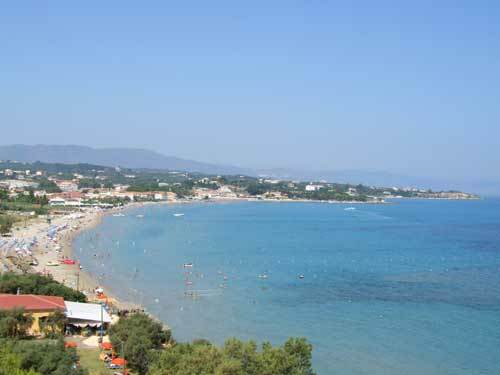 The beach is to the northwest of the town and has been awarded the Blue Flag. A sandy and swallow organized and crowded beach, ideal for children. Recommended for water sports.